Since the end of the 19th century, small quantities of diamonds were found in Australia through gold prospecting. Then, 1969 saw the commencement of a systematic exploration of Western Australia, and on October 2, 1979, diamonds were discovered in the Argyle volcanic pipe in the Kimberly Region. Open pit mining began in 1985. The mine is owned by the Anglo-Australian mining giant, Rio Tinto. The Argyle diamond mine is the world’s biggest supplier of diamonds. It yields about 80 percent brown diamonds, some 15 percent yellow hues, about 4 percent white diamonds and the remaining 1 percent are red to pink, green and blue hues. Since 1994, some 35 million carats have been produced in the Argyle mine every year, accounting for over one third of the world’s annual diamond production. 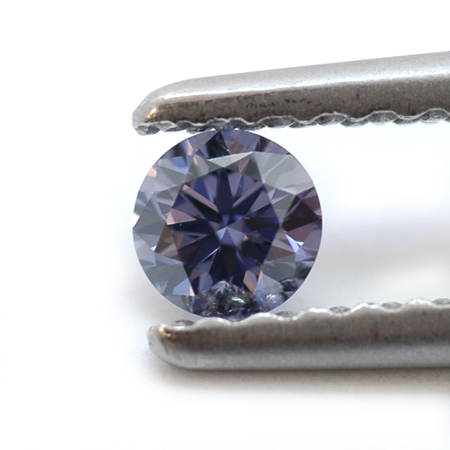 Some believe that due to the more complex arrangements of atoms in these diamonds, they are harder than other diamonds (and that is also what lends them their deep color). Although, this fact cannot be sourced and therefore still remains questionable. Some 70 percent of the Argyle diamonds turn fluorescent blue when put under ultra-violet light. 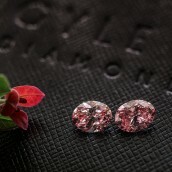 The Argyle mine is one of the largest mines in the world, and is the main source of the rare natural fancy pink diamonds. 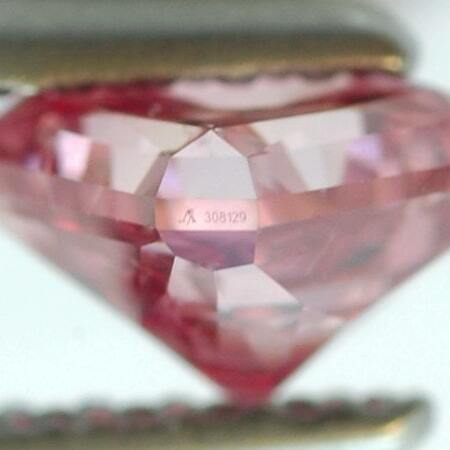 It produces about 90 percent of the world’s supply of pink diamonds. 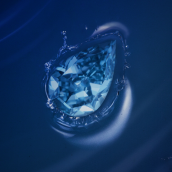 The stones are so highly valued that between 40 and 60 of the best diamonds are put out to tender every year. The natural red diamond, one of the rarest among fancy color diamonds, is so rare that only a few stones are mined each year. 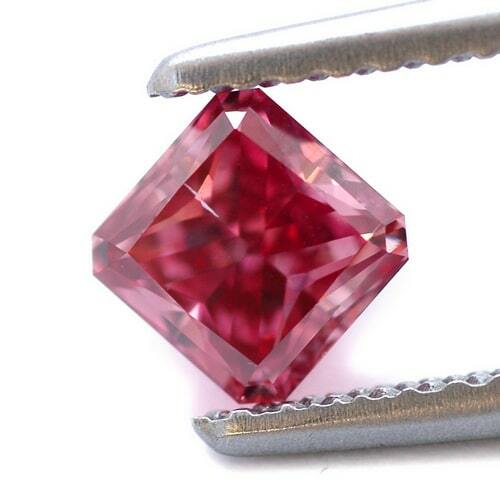 Even these diamonds, produced by the Argyle mine are not pure red but rather graded as fancy-brownish-red, vivid-purplish-pink, Fancy purplish-red, and a few other variety of hues. The Argyle mine is the world’s leading producer of brown colored diamonds. 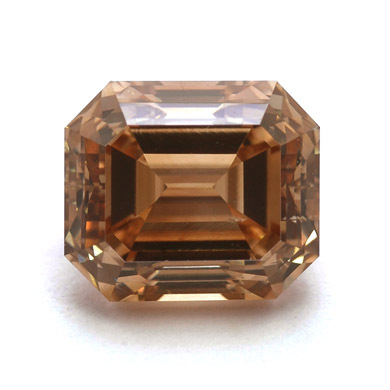 These are the most common natural colored diamonds available, and are often marketed as cognac and champagne diamonds, in order to add to their charm. Since production in the Argyle mine has gone down in recent years and miners and geologists have yet to find new deposits, demand has increased and this trend is expected to continue. 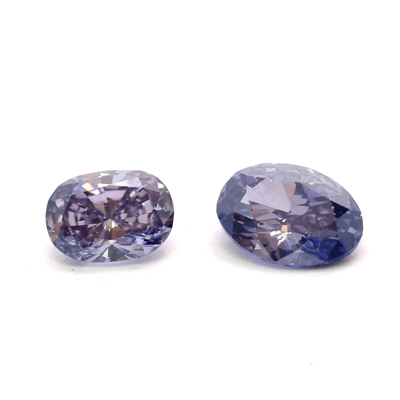 Rio Tinto tendered a collection of rare blue Argyle diamonds, appropriately named “Once in a Blue Moon." This tender lasted one month, from March 3 through April 8, 2009. The closed tender was showcased in Perth, Honk Kong and Tokyo. In the press release, Josephine Archer, Sales and Marketing Manager for Argyle Pink Diamonds, said, “We are excited to showcase our first ever collection of precious blue and violet Argyle diamonds, sourced from several years of production at the mine. It is an enchanting collection that will appeal to connoisseurs and collectors alike." In 2008, Argyle ceased its open pit mining and moved underground. Annual production of the underground mine from 2007-2018 is expected to be around 60 percent of the mine’s former annual average, and productivity is expected to continue for about 10 years.